When I saw the headline in my Google Alerts – “Reality Bites When Your Teeth Turn 45” – I just had to click the link and find out what this moaning was all about. Birthday euphoria associated with my 45th last week vanished pretty quickly as the next morning, brimming with good resolutions in the dental hygiene line, I flossed my teeth with vigour. To my horror, half a tooth fell out. This sent me into a morose tailspin. 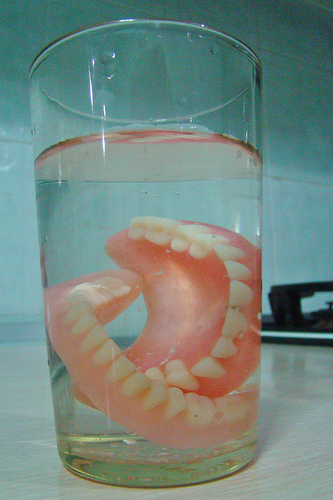 So, this is what happens once you cross the 45-year-old line – your teeth fall out. I decided to abandon immediately all the healthy living birthday resolutions, such as flossing, as they obviously only usher on the inevitable at speed – and instead focus on the fun ones centred on wine, chocolate and wild partying. Because, of course, when you have a health problem – and yes, losing part or all of a tooth you’re not supposed to lose is a health problem – you don’t want to do something to keep it from getting worse. You abandon all hope – because, so suggests the writer, it’s just a normal part of aging. That’s the subtext. And if the writer actually and seriously believes it, well, that’s just sad. For starters, 45 is not old by any stretch of the imagination. Yes, the body is aging, changing, slowing down. But it’s hardly falling apart – unless you’ve not taken very good care of it. And maybe that’s the case with the writer. After all, according to her article, after visiting the dentist about the tooth damage, she proceeded to eat a chewy sweet, even as she says she knew it was risky (and lost another tooth in the process). 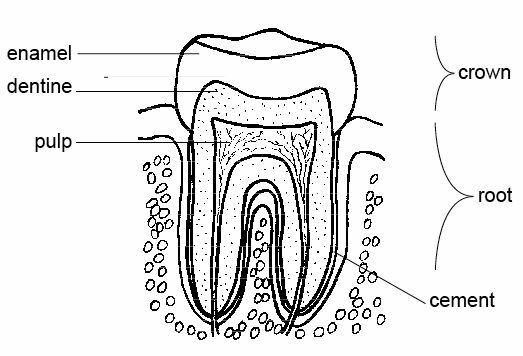 The crux of the matter: Tooth loss is not an inevitable part of the aging process. Apart from accidents, the only time we usually lose adult teeth is when we don’t take care of them: when we eat poorly, don’t brush and floss regularly, don’t see the dentist regularly; when we smoke, take drugs (legal and illegal), drink too much, don’t exercise. Such things harm our teeth and gums, making them vulnerable to decay and disease. Teeth don’t normally fracture on their own either. Non-accident related fractures usually result from behaviors such as chewing ice or other hard objects, or habits such as clenching and grinding. Under normal conditions and with proper care, most people’s teeth will stay intact and in their mouths for their lifetime. Only when something goes wrong might they fall out, crack or break. 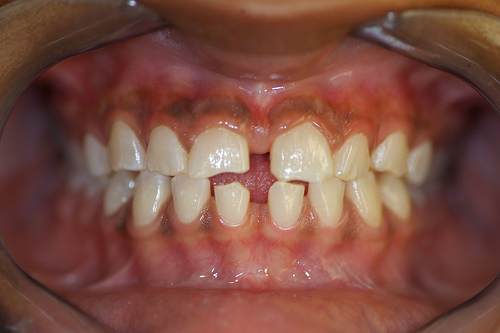 The main change healthy but aging teeth experience is darkening from a lifetime of staining and normal wear and tear. This problem is easily solved by whitening or doing things to create the illusion of brightness. For instance, women can use lipstick with blue tones to create the impression that their smile is whiter. 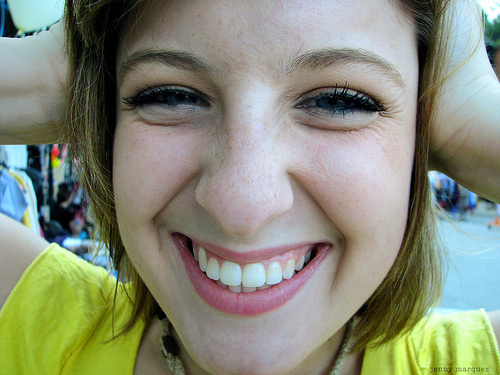 But almost never is damage to or loss of the teeth a byproduct of aging. It’s a byproduct of the choices we make. “Getting old” is just when your choices start catching up with you. 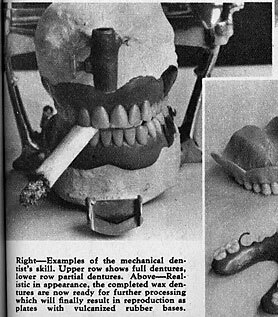 In the 1930s, the great dental researcher Weston A. Price traveled the world, investigating the effects of diet on human dentition. From the Swiss Alps to the Peruvian Andes, from Africa to the South Seas, he found one commonality among all people he met: those who ate traditional diets made up of indigenous foods had healthy gums and nearly perfect teeth. Comparatively, those who ate highly processed, non-local foods – diets including refined flour and sugar – were much more likely to have crooked teeth, malocclusion (improper jaw alignment), caries (cavities) and gum disease. He published his findings as Nutrition and Physical Degeneration in 1939. Sadly, all too few dentists have recognized the importance of Price’s work. 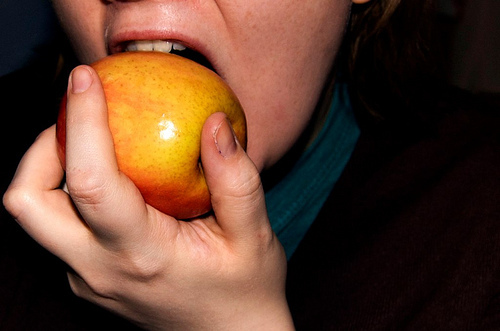 They can’t state the obvious: what you eat affects not just your overall health but your dental health. For instance, refined carbohydrates and starches contribute greatly to biofilm (plaque) build-up, tooth decay and periodontal disease. When broken down by enzymes in your saliva, these fermentable carbohydrates make a desirable meal for the microbes that live in your mouth. The environment grows acidic while the microbes thrive and colonize, intensifying acidity. If the biofilm they form isn’t regularly disturbed by brushing, flossing and other cleaning techniques, decay and gum disease are sure to follow. If, on the other hand, you eat plenty of vegetables, fruits and other whole foods, you make the terrain less friendly to those microbes. Indeed, shifting to a less acidifying, more alkalinizing diet can go a long way toward enhancing your health. Generally speaking, riper, fresher and less cooked produce is more alkalinizing, and organic is more so than industrial produce. Similarly, whole grains are less acidifying than refined grains, and whiter meats are less acidifying than darker ones. You’ll note that this list contains few processed foods. This is because whole foods – foods as they occur in nature – are the foundation of a healthy diet. They may be processed into other foods of varying quality – everything from healthy, hearty whole grain breads to nutritionally empty Twinkies. While these days it would be extremely difficult, if not impossible, to follow a completely traditional, indigenous diet such as Dr. Price found ideal, we can benefit greatly by at least avoiding use of the most heavily processed foods. Hence, the oft-cited rule of thumb, of shopping the perimeter of the grocery store: produce, meats, dairy, bakery. When you venture into the center aisles for the more heavily processed foods, be sure to read the labels carefully – especially the ingredients. The fewer, the better. Eating a wide variety of whole foods, with emphasis on alkalinizing foods, can help ensure that you’ll get all the vitamins, minerals and other nutrients that support strong teeth and healthy gums. While we need enough of all nutrients in oder to stay healthy, some are especially important to good dental health. All are vital, but especially vitamins C and E. As anti-inflammatory agents, they support healthy gum tissue. They also make the terrain less acidic, slowing the growth of biofilm. Eating a wide variety of vegetables and fruits can help ensure you get enough of these nutrients. Nuts and whole grains are great sources of E, while citrus and cruciferous vegetables (e.g., broccoli, cauliflower, kale) are excellent sources of C.
Minerals support bone growth and maintenance. Good sources include meat, fish and dairy products, along with green leafy vegetables. D plays a role in maintaining strong teeth and gums. Luckily, our bodies can produce this vitamin with the help of sunlight. All it takes is ten to twenty minutes of exposure three times a week. Also, dairy products are often fortified with D.
Our body tissues are constantly breaking down, including the tissues in your mouth. Protein is needed to rebuild and maintain them. Good sources include meat, fish, dairy products, beans and nuts. For more articles like this one, visit our library at drerwin.com.